The Beast on the blue brand? The Superstar Shake-Up stars later tonight and it could change the landscape of RAW and SmackDown for the near future. Without wasting any time, let's go straight to one of the biggest moves WWE could announce - Brock Lesnar heading to WWE SmackDown from the red brand. 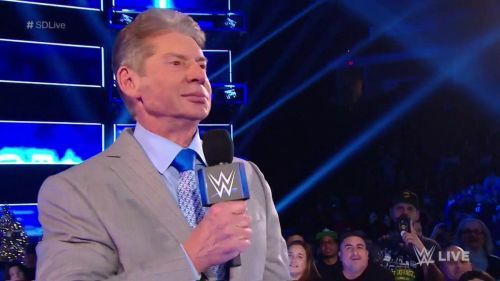 We all know now that WWE SmackDown will be moving to FOX later this year and it's actually a big deal for WWE. Not only is the deal lucrative, but WWE will also be on one of the top sports channels around. However, WWE still has some things to do before their move to FOX. SmackDown is seen as the secondary show now, because of perception, more than anything else because SmackDown ends up being the better show most weeks. With the impending move to FOX, WWE needs to move some big names over to the blue brand and one of the easiest to move will be Brock Lesnar. Lesnar rarely appears but just his aura as a part of the roster will help. And, when Lesnar does show up for his matches every other quarter, he'll be a top level draw for SmackDown. Seth Rollins beat Brock Lesnar at WrestleMania to win this WWE Universal Championship for the first time. Rollins did this by hitting Brock with a low blow before hitting him with multiple Curb Stomps to finally slay The Beast. 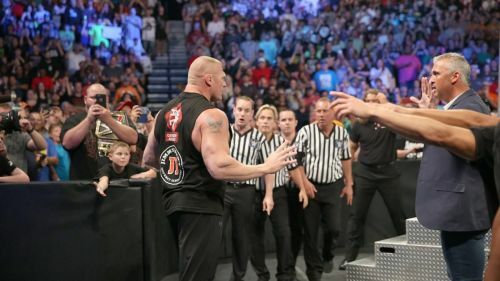 However, it looks like there won't be a rematch between the two anytime soon and one of the easiest ways to keep Rollins and Lesnar separated in the coming months will be to move Lesnar over to Tuesday nights. More so, Brock Lesnar hasn't been on SmackDown for years. More on this in the next slide.